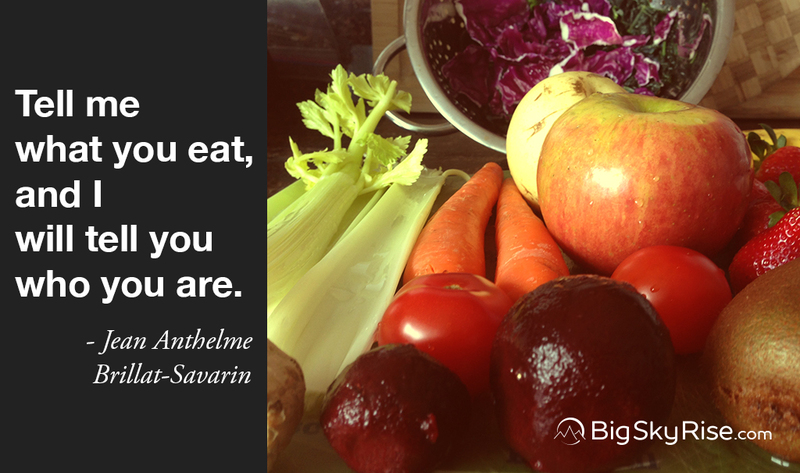 Eating well is incredibly important. Our diet impacts our physical health as well as our mental health. It goes a long way towards making us feel old, feeble, sick, grumpy, lethargic, and unmotivated — or young, fresh, light on our feet, energized, happy, healthy, and ready to go. Over the course of many years, I’ve made steps to fine tune my diet for better living — and I will continue to do so as time goes on. It’s an ongoing process of working towards progress, not perfection, and it is something that is lasting and feels comfortable to do when taken slowly one step at a time. For example, I’ve gone from downing bags of candy in single sitting to hardly consuming refined sugars at all — all without it being a struggle, because I really don’t crave or want them any more. The cool thing about it is that everyone can make significant changes for the better, all it takes is a little motivation, self-help, and self-care. So, be sure to take that into consideration as you read through today’s post and linked articles. Touching once more on that whole brain, gut connection thing, this multi-part series from Mindful.org provides useful information and insight into the topic. Among the interesting notes, along with the gut influencing psychology, our emotional and psychological situation impacts the health and goings-on in our guts. Like many things in our life and physiology, there is a multi-directional and often cyclical relationship at play. In this situation, one component (the brain) impacts another (the gut) and at the same time that second component (the gut) impacts the first (the brain). This cyclic relationship can create a spiral of sorts — positive or negative — in terms of our health and happiness. This also provides a cursory introduction to the concept of compounding, which I’ll be sharing more on in the future. A point of understanding for now is that changing one variable can make a small impact for us, while changing two variables can impact us in a way that is more than simply an additive “1 + 1 = 2” type of thing. As we make small changes, positive or negative, those changes can multiply on each other leading to big change from small inputs. Anyway, check out this great introduction on Mindful.org — even if you’ve already been introduced — to the topic and many of the impacts of the brain-gut relationship. Once your familiar with that relationship, you’ll likely be interested in knowing how you can impact that relationship in a conscious way. Naturally, there are many steps you can take, each varying in degrees of simplicity and ease. For a first great step in breaking a negative gut-brain cycle and starting towards a positive one, try utilizing the power of mindfulness, specifically through the practice of mindful eating. This second part of the series offers a outline of a simple and helpful mindful eating practice. Along with that mindful eating practice, this handy infographic from Summer Tomato offers some additional information in a quick, scannable way. Worried self-help books, tools, and so on aren’t so helpful? Or, perhaps, have you been burned by self-help materials that had less than good results? Self-help is actually very helpful, as this article covers. Studies are showing that self-help books and other materials can be as effective as medication, some forms of therapy, etc. — as long as the information being consumed is scientifically sound. While self-help is certainly helpful, it is important to approach self-help and personal development with a clear and rational understanding of what it can do. In the same way that there are numerous books and pieces of self-help content available which may prove to be less-than-helpful for a lot of people, there are quite a few pervasive myths in the self-help world. These five personal development myths are ones worth clearing away so that your personal development journey can be more fruitful and less burdened by erroneous preconceptions. Our gut impacts our psychology, and our psychology impacts our gut. You can influence that relationship through mindfulness, and in particular mindful eating. Plus, self-help really does help as long as its premises are well-founded and appropriate for you and your circumstances. Please consider sharing this post so that others can benefit from a wide array of resources to help in living a happier, more fulfilling life.